The Hero Lost in Space is a solo exhibition by Haley Lauw. The show will run from April 5th – April 19th, 2013. 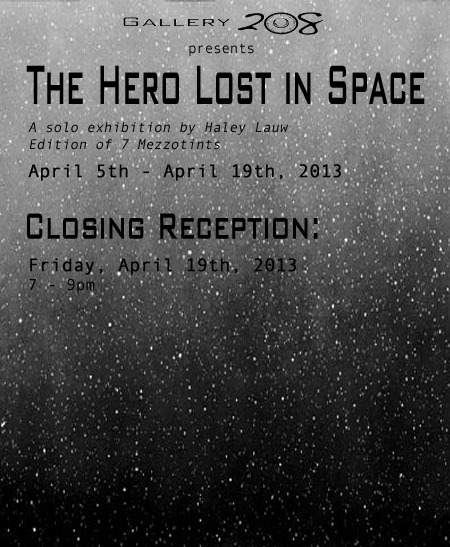 There will be a closing reception for The Hero Lost in Space on April 19th, 2013 at 7pm and will last until 9pm.